Meet with international emergency department leaders and physicians with an interest in clinical quality improvement. A chance to be one of the sponsors/exhibitors partnering with us in the first ED clinical quality certification course. An opportunity to discuss a shared passion for standardizing ED clinical quality. Several opportunities to engage with participants. Socializing and networking opportunities with other professionals interested in emergency medicine quality. 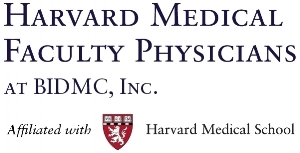 World-renowned speakers from Harvard Medical School and other international experts. A chance to support a learning opportunity for ED physicians, with a rich course program that includes 20 hours of case studies, presentations, and interactive, hands-on workshops. This course is being marketed to both US and international emergency medicine physicians and leaders. The event is CME accredited. n.b. All coffee breaks will be served in the exhibition area. Registration & Course Secretary desk are also located in the exhibition area.